Starting your own beauty business is rewarding, but it’s also challenging. If you’re already working in the beauty industry, you may feel the pull to go out on your own, and the desire to open a business where you’re the boss. Before you do that, it’s important to understand the unique challenges that face professionals in the beauty industry. Not only do you have to worry about your business model and your product, but you need to promote the right emotions associated with your product and service. While traditional small businesses may compete on cost and efficiency, within the beauty industry, you’ll need to compete to offer tranquility, calm and positivity, in addition to providing great service at a price that makes sense to both you and your customers. A solid beauty salon business plan is the first step for how to make a beauty salon successful. It’s not enough to simply love what you do, you need to make concrete plans of how to run a beauty salon, identify challenges and overcome them, and grow your business. One way to grow your business is to offer something unique or to become an expert in a specific area. If you become the go-to person for a specific service, your business will naturally start to grow. For example, you may choose to focus on using organic products or perhaps you focus on beauty services for the elderly. Location can be one of the most important factors to consider when you look at how to improve a beauty salon business. There are many different perspectives when it comes to location. You might like to choose somewhere where there is plenty of passing foot traffic on a regular basis. This could include a mall, a market or a busy pedestrian strip. Mobile beauty salons are also a growing business trend and you might consider offering your services to busy professionals who want their salon to come to them. 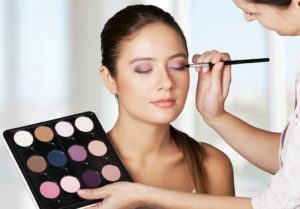 A beauty salon marketing strategy is important for growing your customer base, but how to market a beauty salon can be unique. Traditional marketing strategies might suggest that you advertise in local magazines and papers, and on social media. However, beauty salon marketing can take a different approach. Consider growing your client base through word of mouth. A referral program can work well. To encourage people to join, offer a loyalty program that rewards return customers with gifts, cash back or money off. Start a newsletter with tips and offers. Create a website that will have customer reviews, launch new offers, and offer advice. Tap into your professional network to find new employees. You might also consider advertising in a local beauty school or by putting ads in the local paper. While the thought of expansion might be exciting, it means more products, more sales, more services, and the need for more employees. It may require bigger premises or more hours. You need to question whether you’re growing to increase your profits or to cope with more customers that you can currently manage. Do you have a regular customer base? Do your customers want you to expand your hours, products or services? Do you have steady profits? Do you have more business than you can manage? Is the beauty industry trending upwards? Recalculate your budget – As you grow, you’ll need to amend your budget and direct funds to different areas of your business. Make sure to keep on top of this. Upgrading insurance – While you will already have beauty insurance if you’re a serious professional, you may need to upgrade your insurance to take into account extra equipment, different premises, employees, vehicle insurance for a mobile business etc. Taxes – Consider if there are new taxes you’ll need to start paying, such as employment tax or sales tax. The beauty industry is growing and this may be the perfect time for you to consider how to grow your beauty business. With a thorough beauty salon business plan, careful hiring, and consideration of factors that will ensure smooth growth, you can give your beauty salon business the right boost in the industry.